For those who carry or admire those multi-folding tools like the Swiss Army knives and tools (like me), here’s something that pre-dates the popular red ones that many of us carry from the Fitzwilliam Museum in Cambridge, UK. 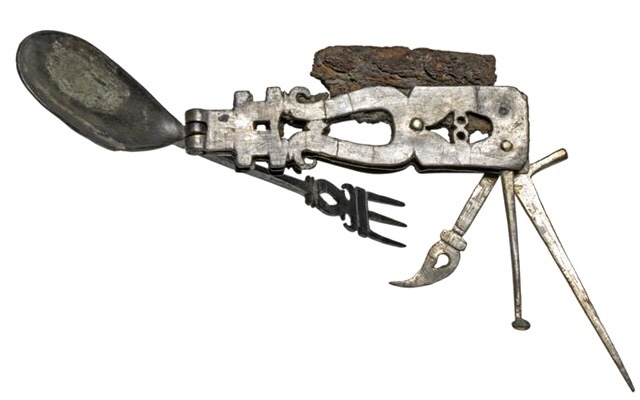 This multi-function spoon, fork, knife and picks “eating implement” was made from iron and silver and was used by the Romans between 201 – 300 AD. See the museum LINK.